The game between Svidler and Grischuk barely merits a mention, and was no doubt overshadowed by the press conference that followed. Svidler claimed the position he ended up with wasn’t what he was hoping for after 6.a4, and that once again he’d got nothing with the white pieces at the World Cup (his “recipe” for success!). 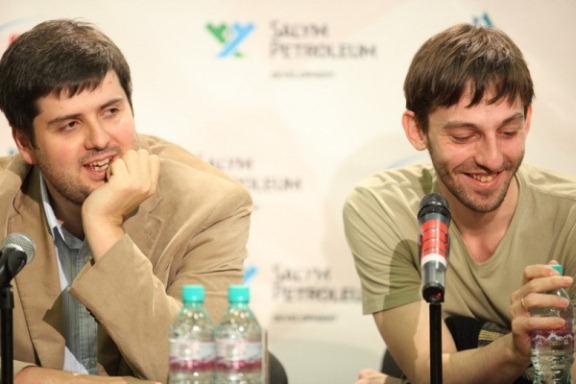 Svidler’s account of why the game was drawn was quite elaborate and gave Grischuk some time to think. When he was finally given the microphone he began: “While Peter was talking I counted that on the 6th move White had at least 10 main continuations, and out of all of them 6.a4 is the most boring and reliable.” The interpreter initially translated “boring and reliable” into English as “best” (! ), at which moment Svidler felt obliged to intervene. Here Ponomariov surprised the commentators and no doubt his opponent with 13.Nxe6. 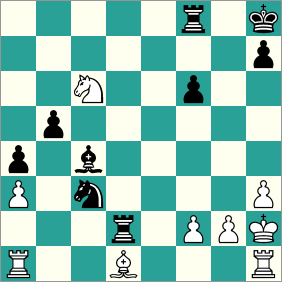 The sacrifice has been played before, but White has very bad results. 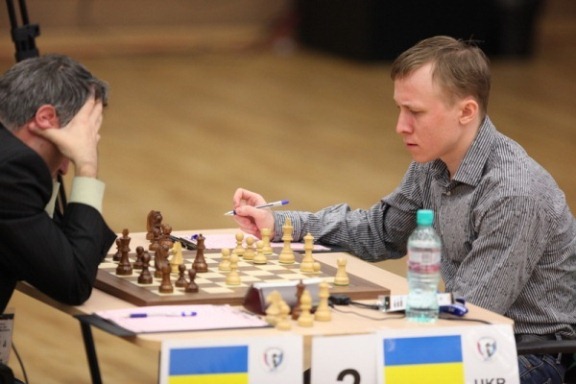 After no doubt wondering what his opponent’s new idea was Ivanchuk played the standard response, 13…Qe5 and then… Ponomariov sunk into thought. 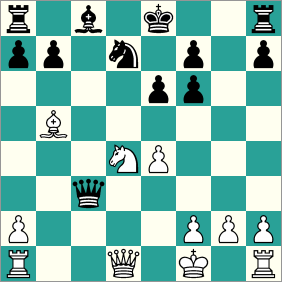 It gradually became clear that he was simply playing creatively in the opening at the board – dangerous at the best of times, but verging on madness against Ivanchuk in a match to qualify for the next Candidates Tournament. 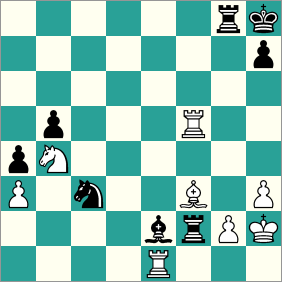 Ivanchuk’s hand was shaking, but he had no difficulty finding the winning idea: 37…Bxf3! 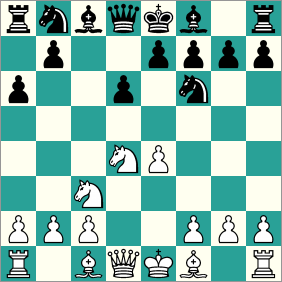 It’s possible Ponomariov had missed the deadly sting in the tail of 40…Ne2+. 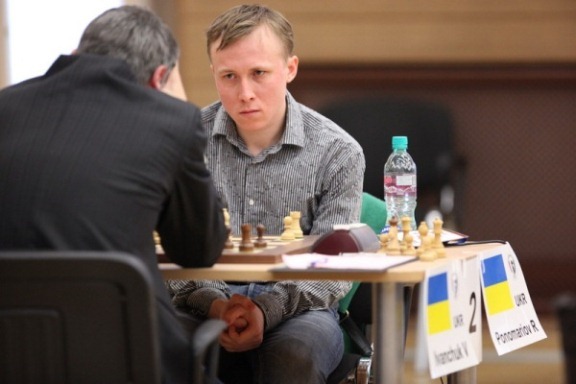 After that Ponomariov was simply waiting for Ivanchuk to return to the table so he could resign. When Ivanchuk didn’t return he finally resorted to stopping the clock. 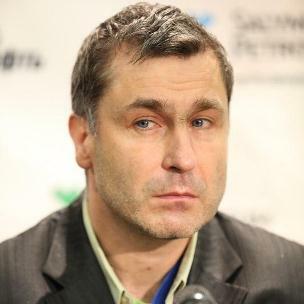 Ivanchuk was asked about his 2002 match with Ponomariov but denied he thinks about “those distant events”. The photographer then asked Ivanchuk if he likes the sea, after questioning him about dancing the day before. It’s probably for the best that the World Cup is approaching its end! 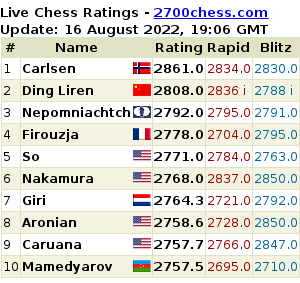 So now both Ruslan Ponomariov and Alexander Grischuk have two games left to try and level the score in their matches. The third games are at the same time and place on Sunday 18 September. It’s worth noting that we’ve now reached “sudden death” – either Peter Svidler or Vassily Ivanchuk (or indeed both) could end the match early with a win.